If you need a garage door installed in the Atlanta, GA, area, you could turn to a fly-by-night contractor for questionable workmanship, or you could trust the professionals at 31-W Insulation to install your new door with incredible attention to detail. Unlike some other home improvement companies, we’re 100 percent committed to ensuring customer satisfaction, so you can rest assured that you’ll receive the level of care you deserve. 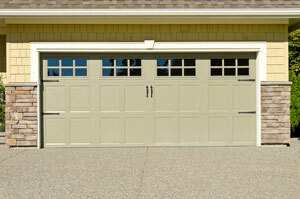 We’ll not only impeccably install your new garage door, but we’ll also go above and beyond to help you choose a door that suits your aesthetic preferences, meets your practical needs, and satisfies your budgetary requirements. We’ve used these same standards to select our manufacturers of choice for all of our other services, too. You can count on us to install attic insulation from Owens Corning® and CertainTeed, custom closet shelving from ClosetMaid, gutters from Spectra Metal Sales, simulated stone siding from NextStone™, and many other home improvement products from top-notch manufacturers. For information about our entire selection of services for homeowners in Atlanta, GA, contact us today. We’ll gladly provide a complimentary consultation and no-obligation estimate for your new garage door and any other home improvement products your family needs.